Why Do Motorcycle Accidents Lead to Serious Injuries? Medical malpractice cases are particularly stressful. This is mainly due to the fact that an injured person who was already in a worsened condition got even worse after attending a particular medical establishment. However, it’s important to note that there are different types of situations and not each one of them would be constituted as a medical malpractice case. 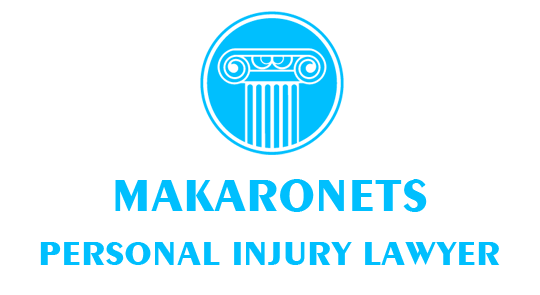 In order for a case to be constituted in this particular institute of personal injury law, the doctor or the medical employee must have acted negligently. This means that he knowingly caused damage with an action which was uncalculated. For instance, a misdiagnosis might be constituted as a medical malpractice if the staff and the consultants were convinced that the condition of the patient was symptomatic of a particular disease, yet the doctor went on and carried out a different treatment plan which deteriorated the overall health condition of the person. However, a regular misdiagnosis because of common symptoms characteristic of two or more conditions could not be treated in the same way because there is a lack of negligence which is paramount for the case. Basically, there are three things that have to be in place if you want to claim medical malpractice – negligence, damages and link between both. It’s also impossible to sue for medical malpractice if there are no complications which have derived from the negligent behavior of the doctor. Sure, the damages could be emotional and not physical but you would have to have sustained them in any case. However, emotional damages are more difficult to prove. Furthermore, you have to understand that proving an actual medical malpractice is incredibly hard to do. You have to have access to the medical records which might be altered in the process. However, it’s also true that if you manage to win a claim of the kind you would get the compensation paid quite quickly. This is mainly because every practicing doctor carries an insurance which covers medical malpractice to a certain extent. The reason behind this is for the professional doctor to execute his obligations without the fear of being chased for malpractice afterwards. Of course, the premiums are considerable but it’s a way to cover a risk which is very real and no one is actually insured against it. Furthermore, when it comes to medical malpractice cases, you are better off with a professional lawyer and that’s a fact. What is more, you might want to get him on your side from the beginning. The reason is quite simple – you would have legal representation and professional protection from as soon as it’s possible. Also, medical malpractice cases are particularly hard to go through and are certainly very demanding in terms of knowledge of the laws. That is why you need to engage the services of an expert injury lawyer to ensure that your claim is represented professionally.